furniture and stuff they have to place into their new house. 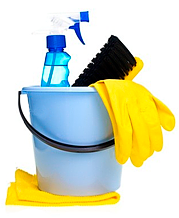 In this case, Crystal Cleaning move-in/move-out cleaning services are required. Crystal House Cleaning is a large residential company that offers its cleaning services in Washington Area, and it’s known for the quality of its work. Ask anyone who’s ordered any of our service and you’ll get a positive reply. Stressing the importance of our clients to us, we are eager to satisfy all their expectations for 100%, and so we do. The move-in/move-out cleaning service that Crystal Cleaning offers for its clients is an essential part of our work. We really do a lot of such orders, and that helps us stay focused on main things you’re expecting from your new house. Once you’re moving out or ready to enter the new house, call Crystal House Cleaning to make it easy and comfortable. Move-in/move-out cleaning services that we offer include such procedures as disposing of a mess, cleaning up, washing windows and dusting furniture, cleaning carpets and floors, removing dust from all surfaces and many others. After our move-in cleaning the house looks like new one, shiny and spacious, with fresh atmosphere and cozy rooms. Crystal Cleaning does all of its cleanings very neatly, thoroughly and fast. Our company works for more than 7 years and within this time we were able to hire the most professional specialists in cleaning, who are able to do it efficiently. Hardworking and friendly, they will satisfy any of your needs in cleaning, making the process of move-out cleaning convenient and pleasant. Crystal Cleaning is a company you can trust. We make our services as affordable as possible, especially when it’s connected with move-in cleaning. Order our services now and see it for yourself!